Avoid direct sunlight to your phone. This is a really important point. Don't leave your phone exposed to the sun rays. On every smartphone, it's internal temperature is based on it's surroundings. If you are in a hot place your phone will also be hot. 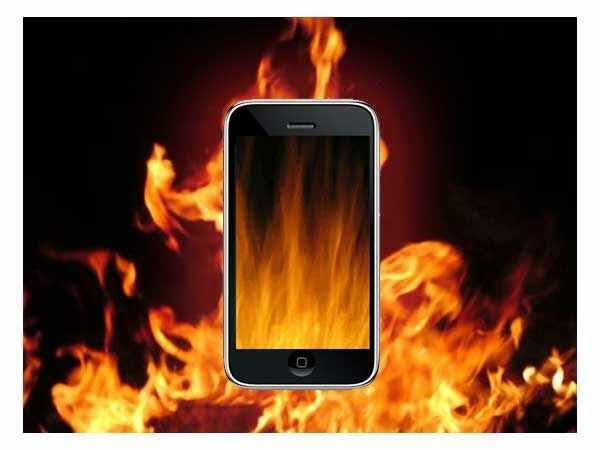 Too much heat can have adverse effect on your phone. It may lead to phone shutdown, battery drainage and meltdowns. Avoid direct sunlight to your phone. This is a really important point. Don't leave your phone exposed to the sun rays. Your phone will retain the heat that it gets from the sun. The longer its in the sun the hotter it gets. Just avoid direct sunlight to your smartphone. Turn off unused apps on your phone. Apps that are running in the background and that are not in use will always drain your battery and cause your phone to overheat. You can easily stop background apps by closing all the apps that you are not using. This will save your battery and won't use up your RAM. Don’t turn your brightness up, buy a glare screen. If the brightness on your phone is all the way up, this will force your phone to work harder. You can buy a glare screen which is quite helpful while in the sun. You will be able to see your screen in the sun with a lot of ease. This is a simple feature that is really in use. Just turn the airplane mode on or just switch off your phone. When the phone is in airplane mode you can still access the basic functions on your phone. Airplane mode saves on battery and prevents if from ever overheating. If you find your phone is overheating you can always take the phone case off. The cases on our phone usually traps more heat. If you take off the case, your phone's heat vent will kick in and do their job thus cooling your phone. This doesn't seem important but it is. Keep your apps updated. Some apps may include bug fixes which will improve their performance. Separate your phone from your other gadgets. Don't keep your phone, tablet and laptop stacked up together. This will definitely lead to overheating. Keep your devices separate and this will ensure they are cool. Just delete unneeded apps. It is better if you have apps on your phone that you constantly use. If you don't use a certain app then delete it. If you phone is overheating just fan it. This may look stupid but put your phone near the fan. If the fan can cool our bodies it can as well cool your phone.